Angela Tambini, Polly Horwich and I took the venture onto London where we popped-up in the Cornershop in Clerkenwell Green for a week. 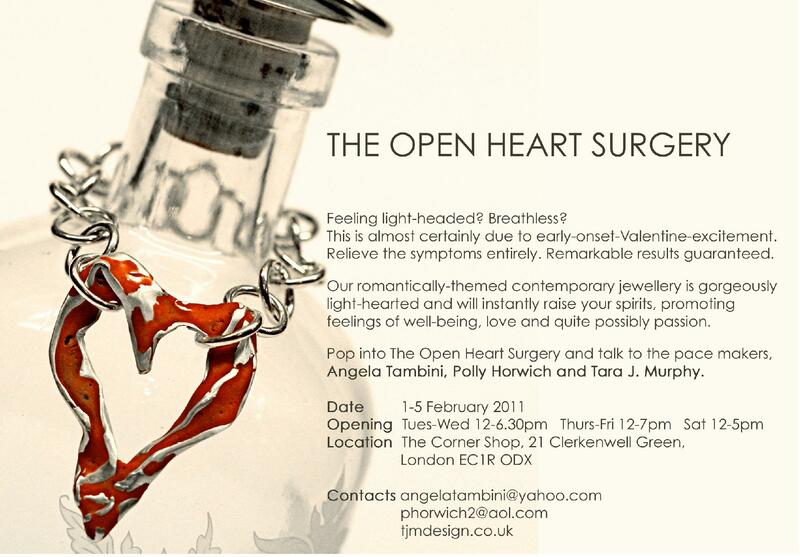 As the show was a week before Valentine’s Day we decided to produce new work specifically for this exhibition in response to the theme of love, hearts and all loosely associated with this celebration calling it Open Heart Surgery. I had recently completed the Best-before collection of brooches, an emotionally heavy series of work made in response to my father and uncle’s deaths and wanted to explore a more playful method of developing and making work. I had been inspired while teaching on the Foundation course at Farnham by a Deconstruct/Reconstruct project and took this opportunity to revisit my love of second-hand places as a source for finding objects that I could appropriate and juxtapose. I developed the Open Heart collection which has become an on-going project. 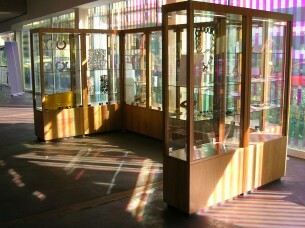 Although related to the overarching theme of ‘the use, reuse and reinterpretation of materials’ this new series uses a slightly different idea development method to that of previous collections of jewellery. The inspiration takes place during the process of sourcing the objects/materials where the unknown and unexpected is the catalyst for the development of ideas.